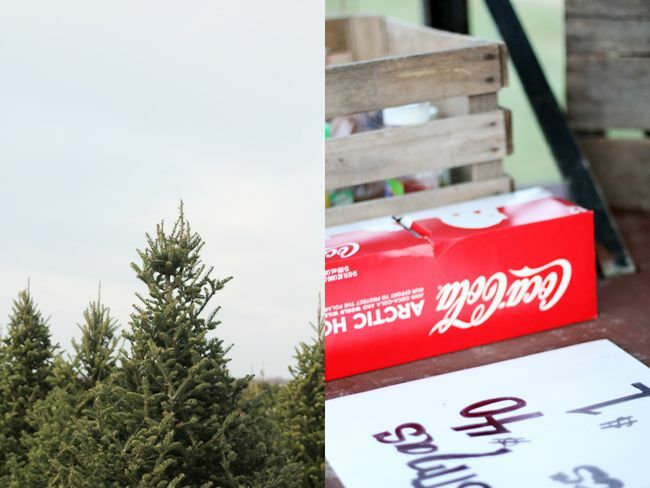 we found our perfect christmas tree this weekend! and it's a whopper of one! certainly the biggest tree i've ever had. we didn't grow up with fresh cut trees in my house...but pulling the artificial christmas tree box out of the closet each year...matching up the colored ends of the branches into the plastic trunk...always made my heart skip a beat! there's nothing quite like putting up the tree...real or fake! i hope you all had a wonderful thanksgiving weekend! now that the tree is up, it's definitely feeling a lot like christmas around here. Ooh, that looks so fun! Love the idea of roasting your own hot dogs. Our tree is giant like yours; have fun decorating! I love how your mister always seems to have a cup of coffee in his hand! beautiful pictures! I love the lion hat. love your dress katie! looks like so much fun. we get our tree on friday! i love that you got excited as a kid putting up your fake tree! my husband has similar memories of putting together his tree as a kid:) oh, and adorable little family as always! Oooh, we just got our tree last night!! Tree getting day is my most favorite day of the yearrrr! i really want to find a nice tree farm n cut our own tree this year! we usually just go to the local garden shop, but this looks like so much fun! 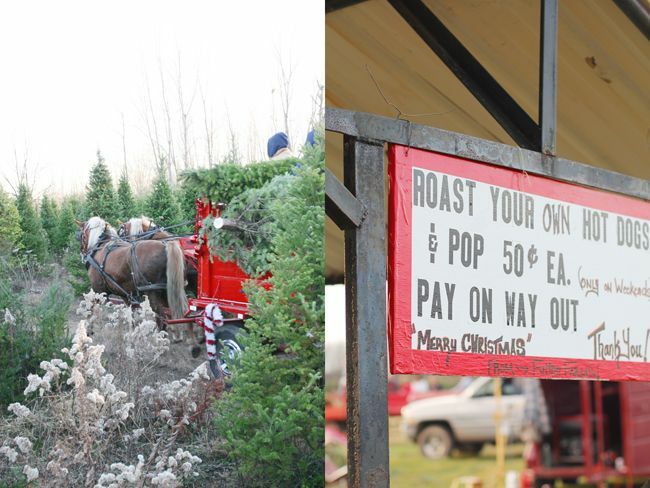 roasting ur own hotdog n horse rides!! looove it! I love going to find the perfect tree! My current guilty pleasure is a flocked one....You all look so festive - I love M's red glasses. as always, wonderful, beautiful family photos. can't wait to put up our tree! 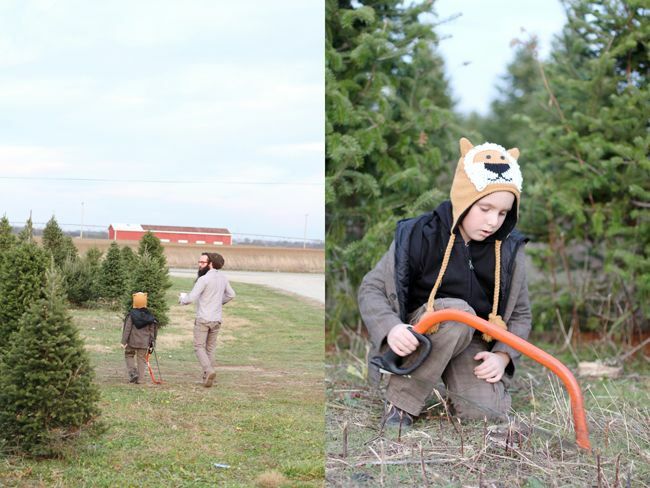 Cutting down a Christmas tree each year is one of my favorite childhood memories. 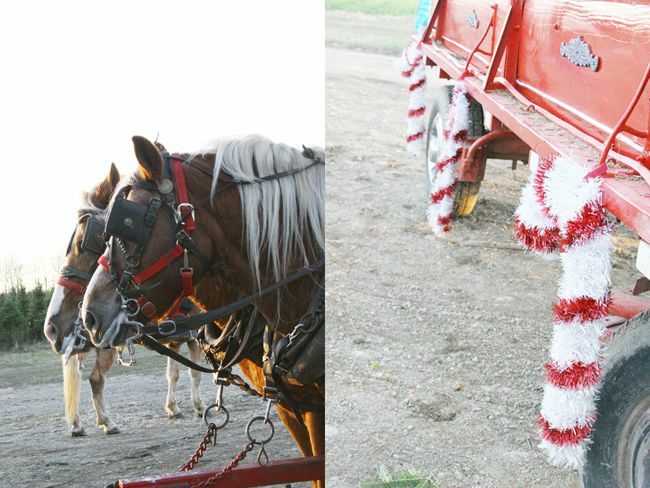 Can't wait to finally have my own this year! 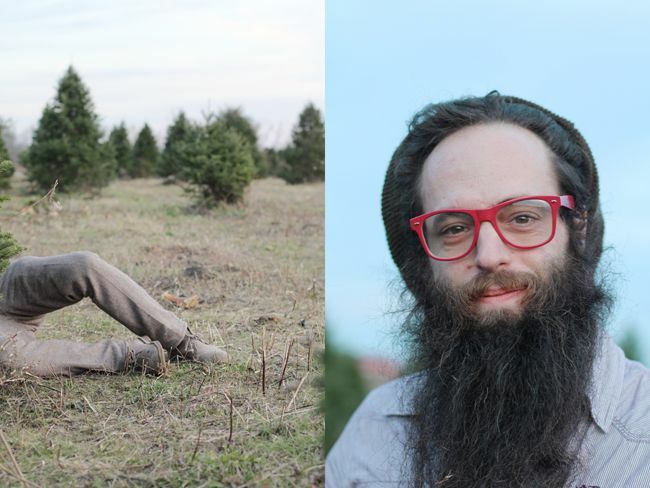 I've always wanted to cut down my own Christmas tree! 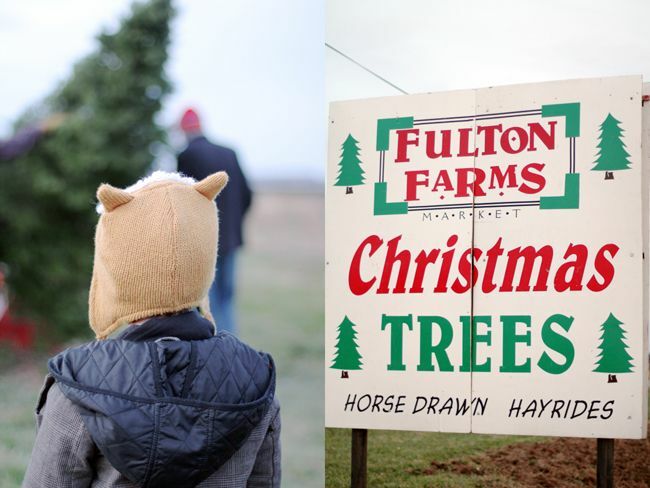 Orange County doesn't have tree farms, sadly, so I'm living vicariously through these photos. ;) Christmas trees are my favourite part of the holiday season! your life is a wonderland. 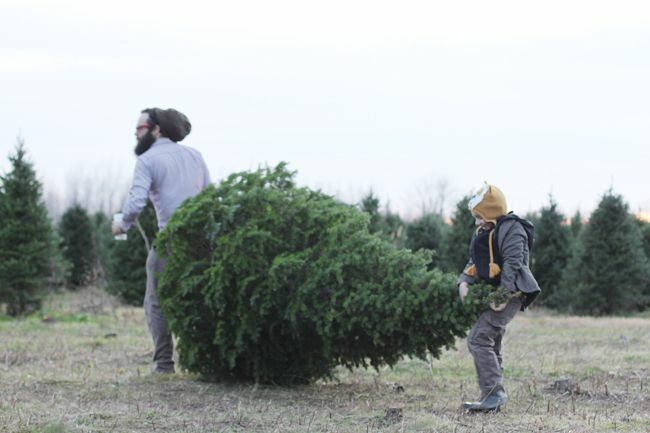 we tried the cutting-down-our-own-tree routine a decade back, when our wee ones were especially wee, and i vaguely recall sniffly noses and cold, grumpy boys. 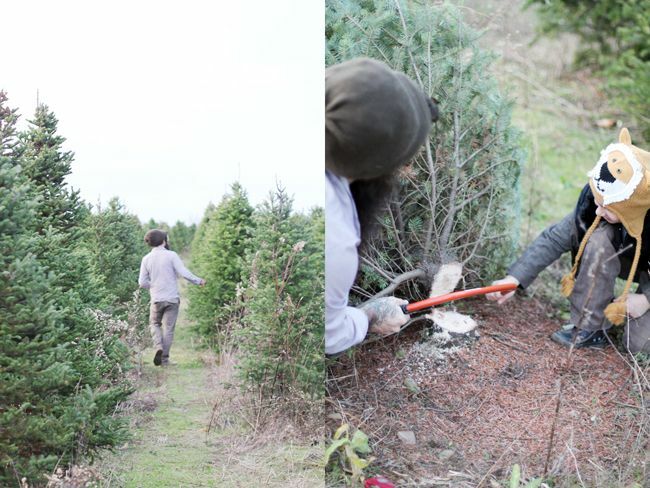 but honey, you have my heart doing a 180 on this...i now have 'locate a tree farm' on my daily to-do's. 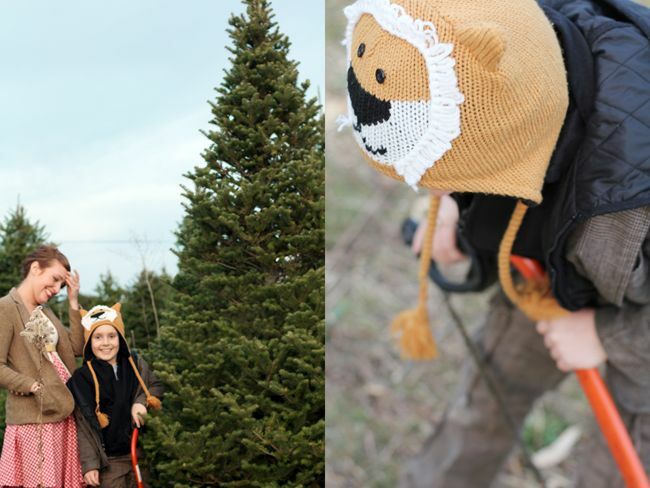 ps how incredible is your christmas-tree-hunting outfit? yum. what a magical time. kinda funny. i grew up cutting our own tree down. now we just pick one out but it is real. 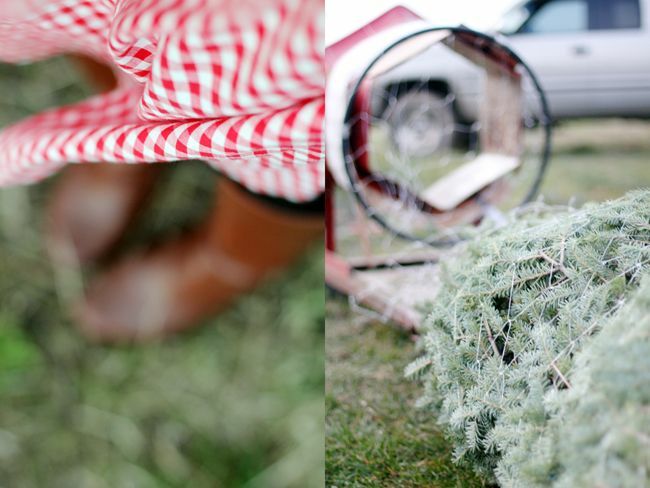 there's something special about cutting it down :) enjoy decorating. 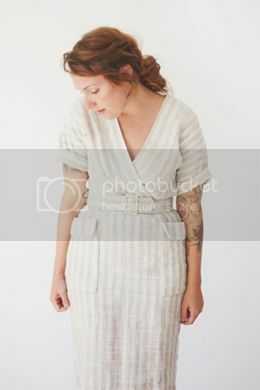 Beautiful pics! 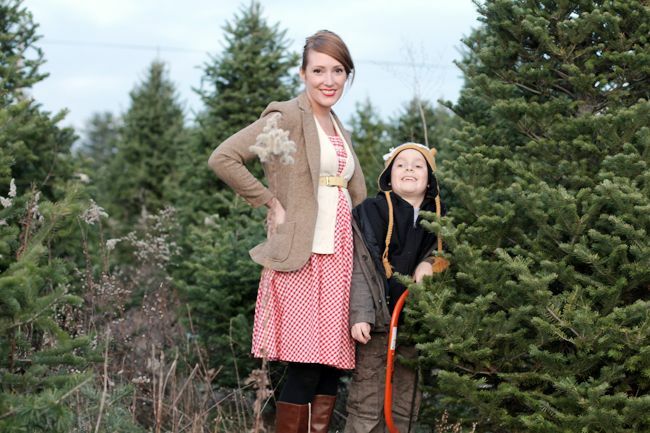 And you wear the cutest outfits to pick out a tree! Eee your outfit! It's perfect! And that tree...oh I love it. How lovely! For quite a few years growing up we had a real Christmas tree, but eventually it got to be too much upkeep with pets around. Like you said though, even matching up the branches of fake trees is a pretty spectacular, Christmasy feeling. I'm so sad that this year I won't get the chance to put up a Christmas tree at all. I'll just have to live vicariously through you I suppose!